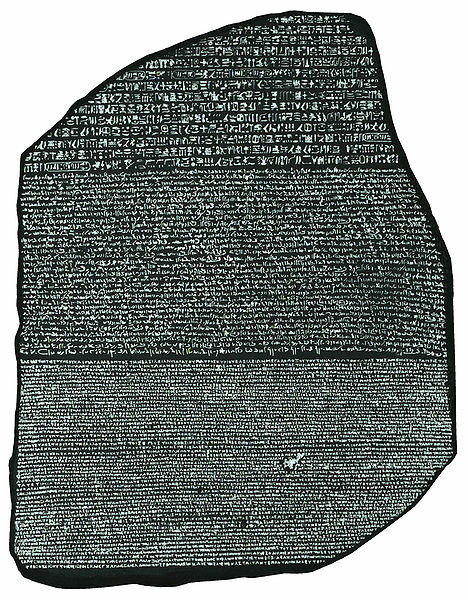 Do you know the story of the Rosetta Stone? You know how archaeologists couldn’t make head or tail of hieroglyphics. And it’s not like they didn’t try. They just weren’t able to figure out what those nice little pictures on the Egyptian monuments really stood for. And then of course, in mid-July 1799, these scientists and archaeologists ran into this massive rock, which they dubbed the Rosetta Stone. What was so dramatic about the Stone? The drama was that there were three translations of one passage carved on the Stone. Namely Demotic, Hieroglyphic and Greek. And since the kind folk who found the stone knew Greek, they were able to ‘de-code’ the Hieroglyphics. But what has this got to do with your learning? I’ve been trying to learn Spanish since I was in school. I first tried to learn under some Spanish Jesuits. Then I bought a Harrap’s Audio. Then raided the library more than once to borrow some Spanish CDs or tapes. And no it doesn’t stop there. I went for Spanish classes for a whole year. And what bugs me is that every three year old in South America can probably speak better Spanish than I could, despite all of this trouble. But then I ran into a language series called—ironically—the Rosetta Stone. That’s when I first started to decode the language. And got much better at learning words and phrases. But I still wasn’t having fun, till I ran into Coffee Break Spanish. In a matter of days, I was not only learning Spanish, but having fun. So much fun that I decided to learn Spanish and French at the same time. Like the original Rosetta Stone, I was deciphering two languages simultaneously. For some people, their Rosetta Stone is reading. For some, it’s listening to audio. For some, it’s being in groups and working in a live workshop. For some, it’s working alone. Whatever the method, recognise there is a Rosetta Stone. It’s not that things are too hard to learn, and you’re not talented. All it actually means, is that you haven’t found your Rosetta Stone. Great article… inspiring… clarifying… thanks a lot.